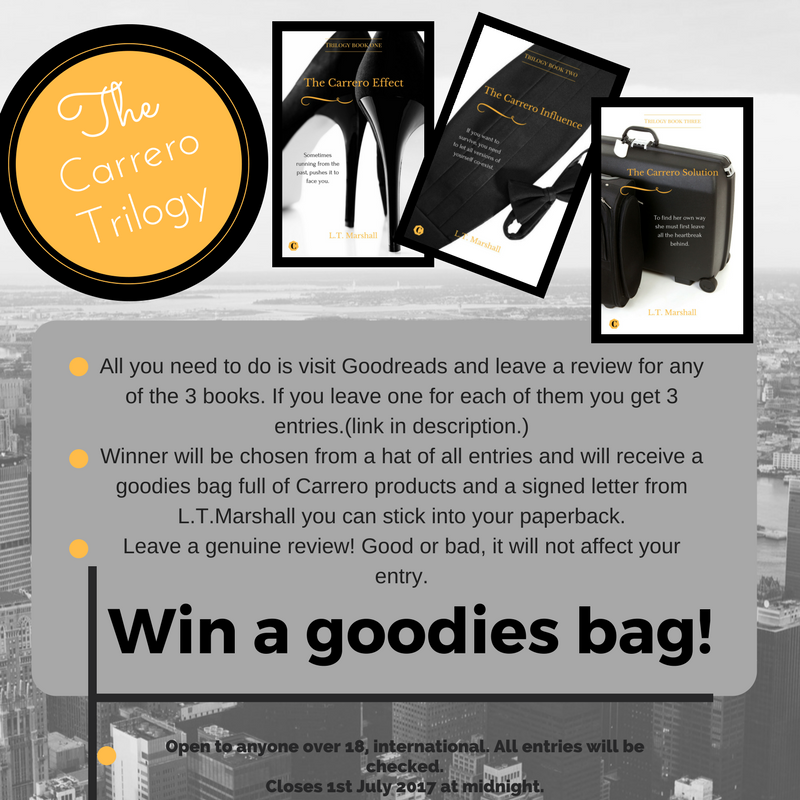 Pict Publishing | Empowered Voices: Win a Carrero Goodies Bag! 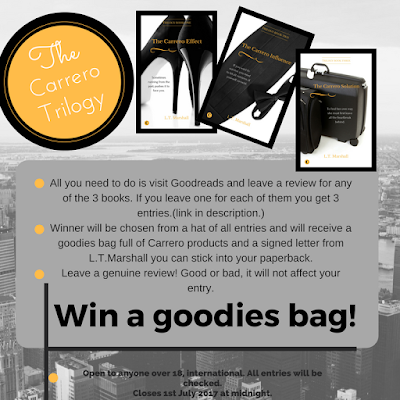 Win a Carrero Goodies Bag! I want to thank everyone for the continued success of The Carrero Trilogy, so in doing so I thought I would make it a little more challenging to enter. Obviously, I want genuine readers to get a shot at winning over randoms so I decided to make you work for it a little. Don't worry, it's not hard to enter. You just have to go to Goodreads ( you may have to sign up) and leave a genuine and honest review on any of my 3 books. ( Meaning you have to have read at least one!) You cannot only leave a star rating, you must leave at least a sentence or more as a review to be counted. If you leave a review on more than one of the books you will be entered more than once. If you have already reviewed me on Goodreads then you can review me on amazon, if you have already done that too then please leave a review as a comment on this blog for entry. I will be checking all entrants to be fair. You can find the 3 books here to review. What to expect in the Goodies Bag!! 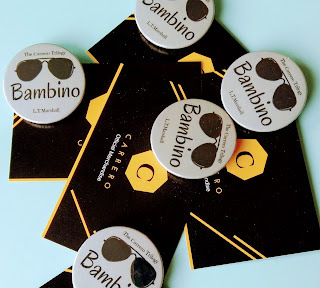 I have a random collection of Carrero merchandise, so this will be varied, can be from bookmarks, stationary and magnets, to keyrings, brooches or quirky related themed items. I want to make this a surprise package so do not want to be too specific. You will also receive a letter from me which will be signed. Want to check out my range of merchandise?